How Do You Play Roulette? - Casino Answers! 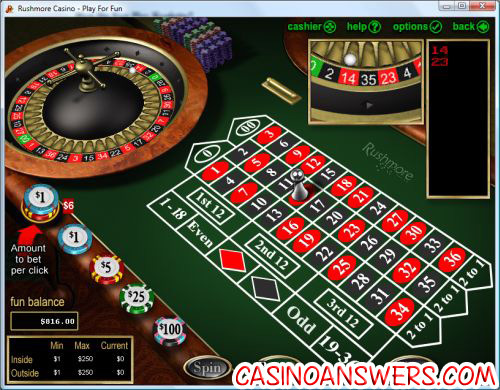 Casino Answers » Roulette » How Do You Play Roulette? Playing the game of Roulette is very simple. It can seem daunting at first with the wide variety of Roulette bets, as well as the fast paced action of it, however once you’ve played Roulette a couple of times, you should have no problem staying up with the pace of the game and playing Roulette on a regular basis.Play at this years #1 online casino for United States - Slots.LV. For this example, we’ll be using an online casino as unfortunately casinos in Vegas seem to frown on us bringing in a whole camera crew and stopping play at the Roulette tables just to explain how to play Roulette. Go figure! On the left is the Roulette wheel where the ball is placed while the wheel is spinning. However before we get to that, we first have to place our bet. On the right of the above screenshot is a list of all the available Roulette bets. You have options like betting on black or red, a specific number, even or odd and more. For all the different types of Roulette betting options available, see our article: What Different Types of Roulette Betting Are there? And as you can see, a marker is shown on the Roulette board as to what the last number the ball landed and settled in is. And that is Roulette, and how to play it. Just to clarify that the dealer will roll the ball in the opposite direction the Roulette wheel is spinning. Online you simple bet then hit “Spin”, while in an actual casino in the likes of Las Vegas or Macau, the dealer will state “No More Bets” to indicate betting action must stop, when is when the dealer drops the ball. Now you know how to play Roulette, hit up the roulette tables at Rushmore Casino and get martingaling! Is there a roulette for dummies guide? 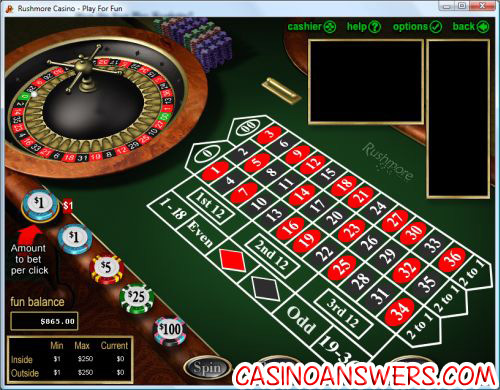 How to play Roulette for first time?